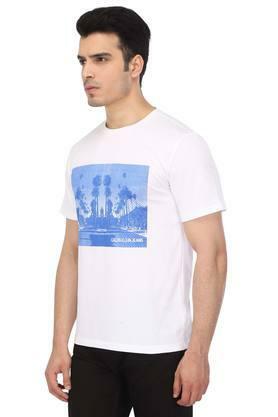 Take off to the zenith of fashion by wearing this T-Shirt presented to you by Calvin Klein Jeans. 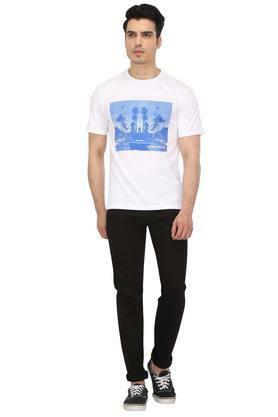 It flaunts a printed pattern that lends it a distinct look. Besides, it has a round neck that makes it convenient to wear. 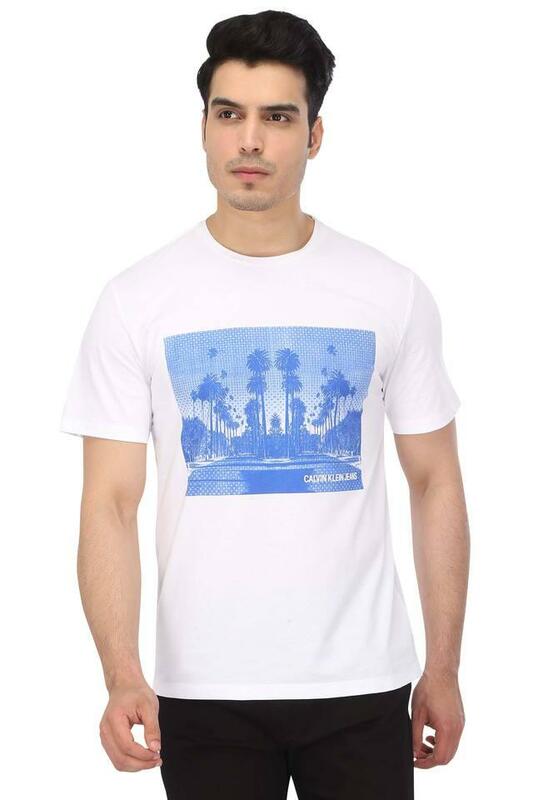 Crafted from fine quality fabric, it is quite comfortable to wear. Head to any casual outing in style by teaming this T-Shirt with a pair of jeans and canvas shoes. 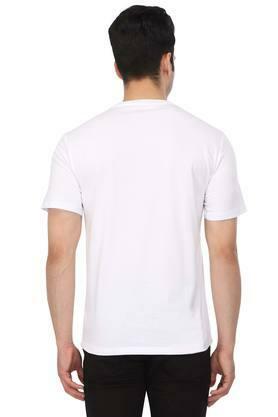 Featuring a round neck, it will lend you a distinct look.